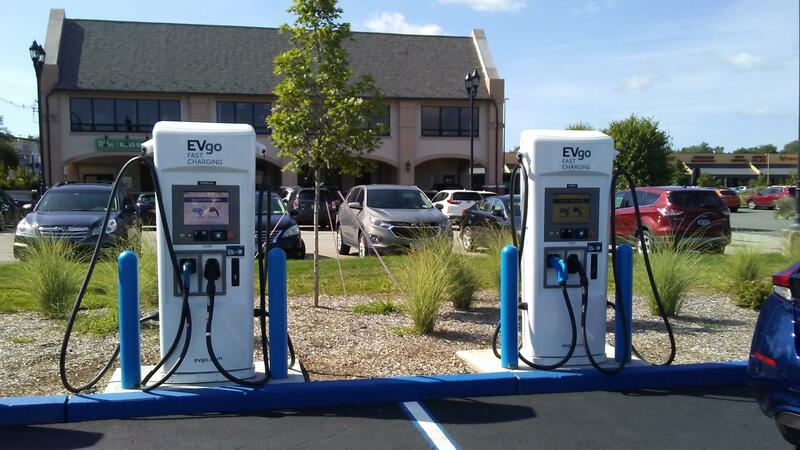 EVgo Charging Station is here and fast charging for electric vehicles is now available to the public at the east parking area of the Shops at Nanuet, adjacent to Banchetto Feast restaurant. 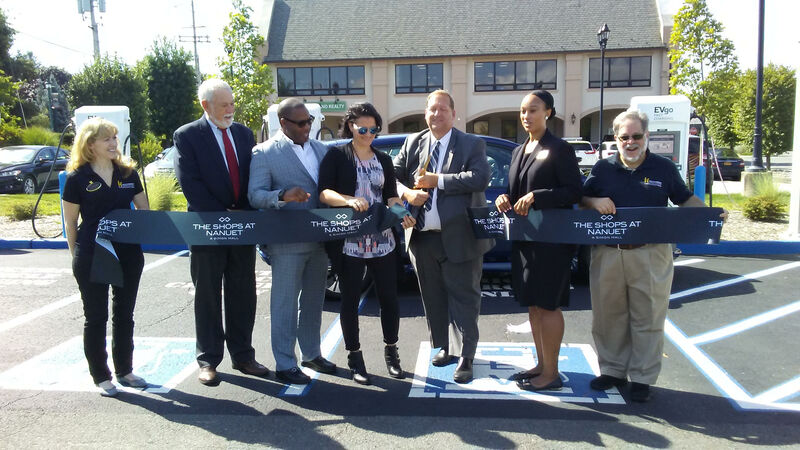 Though it has been in the ground for several months the Electric Vehicle Fast Charging Station officially launched last Thursday morning at the Nanuet Mall with a ribbon cutting ceremony. “What we do here in Clarkstown sets examples for other areas of New York state,” Clarkstown Supervisor George Hoehmann said. Clarkstown is one of the 10 largest towns in New York state with a population of 92,000, Hoehmann noted. The town has a chance to set a trend with EVgo station. “I don’t have to pull over and get gas,” he said. “Total electric and no tailpipe, no gas, just full electric,” Hopkins said. EVgo is America’s largest public electric vehicle fast charging network with more than 1,000 chargers in 66 metropoli- tan areas nationwide. For those who pay as they go, EVgo touts the price of a battery fill-up as being similar per-mile to gas vehicles. For those who buy into contracts, the cost per mile is less. Drivers do have to take a 30-minute break to fully recharge their vehicles, however. Officials from the Rockland Business Association and Nanuet Chamber of Commerce also joined together at the ribbon cutting. In other charging station news this week in Rockland, Warren Hill apartment complex in Nyack announced that it now features an on-site charging station for residents.